1x Standard Temperature Sensor and 5x Photoresistor. One of the most important environmental aspects is the air surrounding us. Unfortunately the quality world wide is getting worse. In cities like Hong Kong or Los Angeles you will get heavy smog (smoke and fog) on regular bases. Monitoring the quality for your own use can be a very interesting thing. Humans can of course smell certain gases without using a detector, but dangerous gases like carbon monoxide are scentless. Carbon monoxide can be a problem in underground parking garages because cars produce loads of it. Carbon Monoxide tends to bind oxygen which can cause suffocation. ATTENTION: Keep in mind that humans can not smell when they are asleep! So I wanted to test the MQ 3's sensitivity to alcohol, but as you can see I had some weird readings. The MQ 4 seems to be more sensitive to alcohol than the MQ 3! I tested the gas sensors by dipping a cotton bud into 40% Obstler (unfortunately I do not have pure ethanol at home) for a few seconds and then placing the soaked cotton bud close to the sensors. The MQ 4 datasheet says that it only has a low sensitivity to alcohol, so I started wondering. Since I could not find an explanation for the readings I can only guess. If you take a look at the chemical structure of methane (CH4) and methanol (CH4O) you can see that they are very similar. Methanol is a known byproduct in the production of alcohol. But because it is more poisonous than ethanol it is not allowed to be in drinkable alcohol! Usually methanol is used by criminals when adulterating alcoholic beverages to make more profit. I wanted to make sure that there is nothing wrong with the MQ 4 sensor, so I added a second MQ 4 sensor to the setup. The result was that both of them reacted in the same way to another alcohol sample on a cotton bud! The official arduino.cc website has some additional information about the MQ Series. HMC5883L Compass and GPS Module. 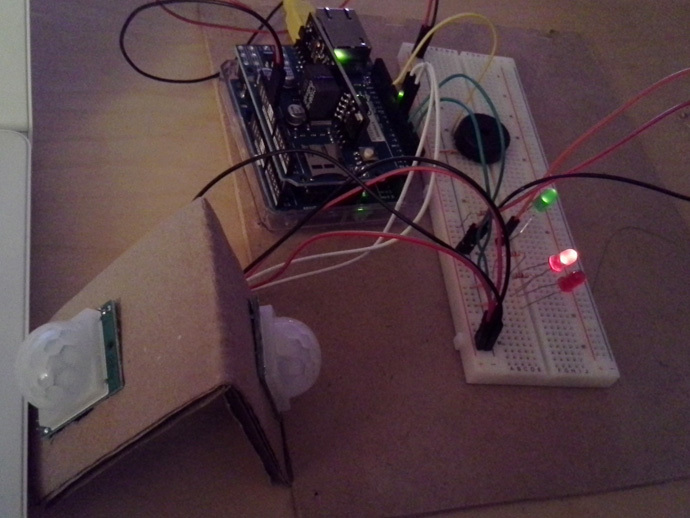 For a little test I connected 2 pyroelectric infrared sensors and 2 red LEDs to the Arduino UNO. 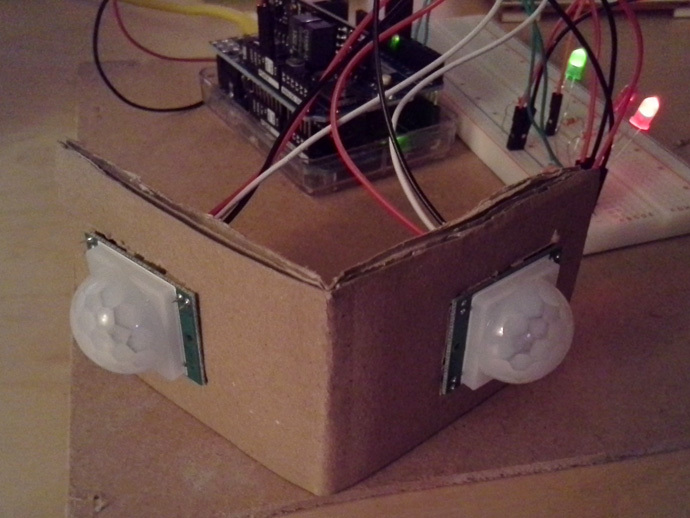 Then I wrote a simple script which triggers one LED per sensor. If there is movement on the left side, LED 1 goes red. Movement on the right side triggers the other LED. Due to limited visibility at certain ranges and angles I added a piezo for audio feedback.